OrderPaperToday – Following the intervention of the National Judicial Council (NJC), the Senate has asked for the discontinuation of the case it filed at the Supreme Court on the suspension of Hon. 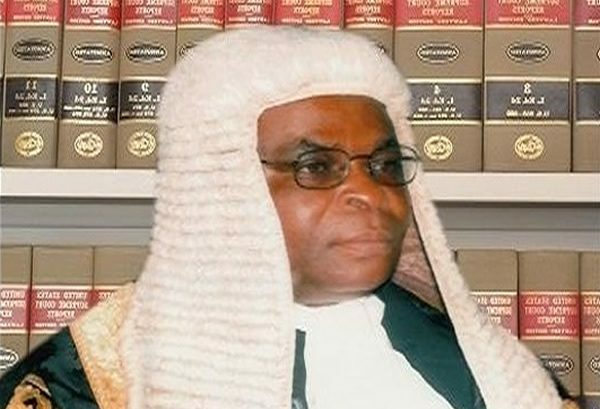 Justice Walter Nkanu Onnoghen. Onnoghen has been arraigned for trial at the Code of Conduct Tribunal (CCT) for alleged assets declaration infraction, which led to his suspension by the President without due recourse to the red chamber is mandated by the 1999 constitution. But on the 28th of January, the chamber resolved to shelve an earlier plan to reconvene over the issue, informing that it will take the matter to the apex court. However, in a statement signed by Yusuph Olaniyonu, Special Adviser to the Senate President on Monday , the Senate announced that it decided to give the NJC intervention a chance.